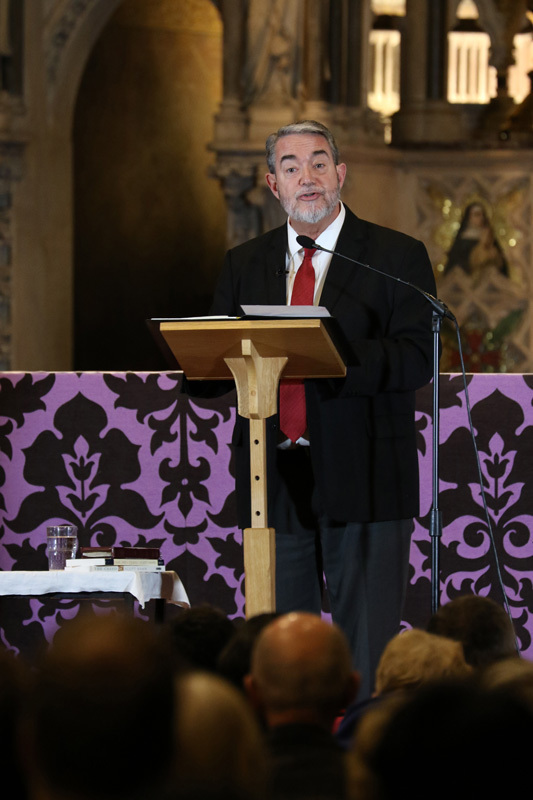 The Rosary Shrine had the joy of welcoming Dr Scott Hahn and his wife Kimberly last Friday, 16 March 2018. 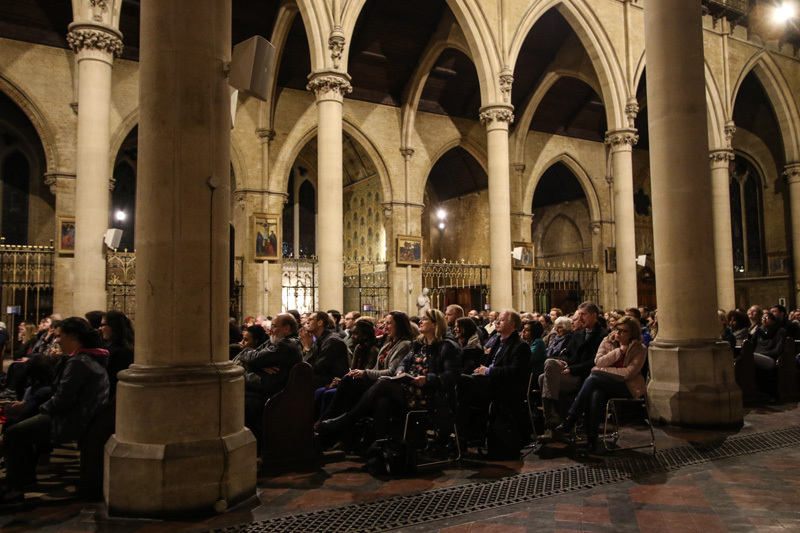 Dr Hahn was in London especially for this event: the inaugural Rosary Shrine lecture. 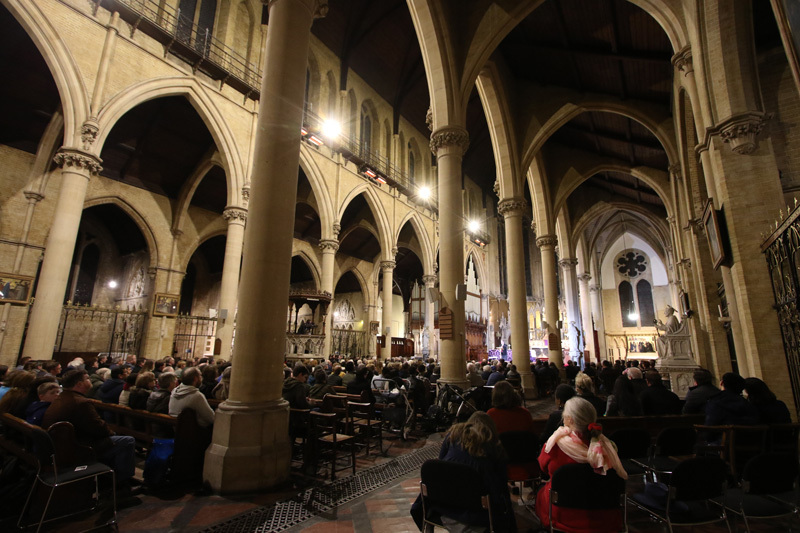 A packed church of over 600 people listened to Dr Hahn’s talk entitled “Hail, Holy Queen: The Mystery of Mary in Scripture”. 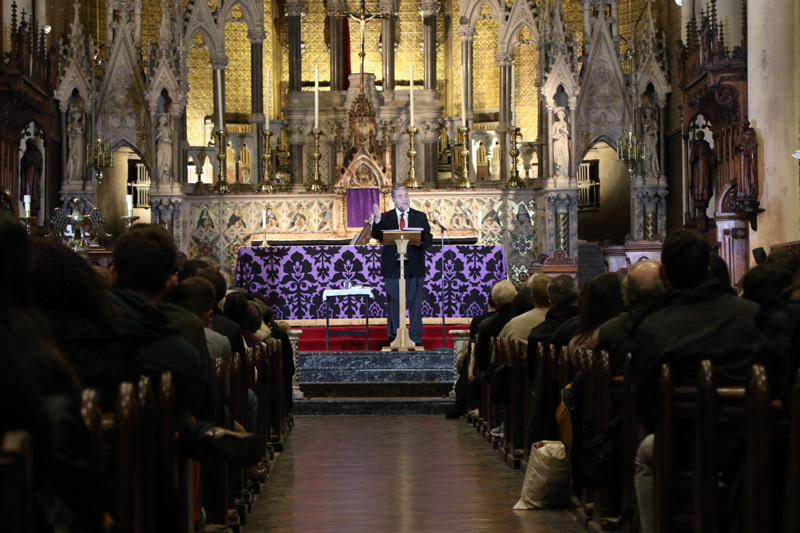 Combining light-hearted autobiographical anecdotes with a fluent exegesis of Scripture, Dr Hahn helped us to appreciate the profound Scriptural roots of Catholic doctrines of Our Lady, from her Immaculate Conception to her Assumption into heaven, and her Coronation as Queen. 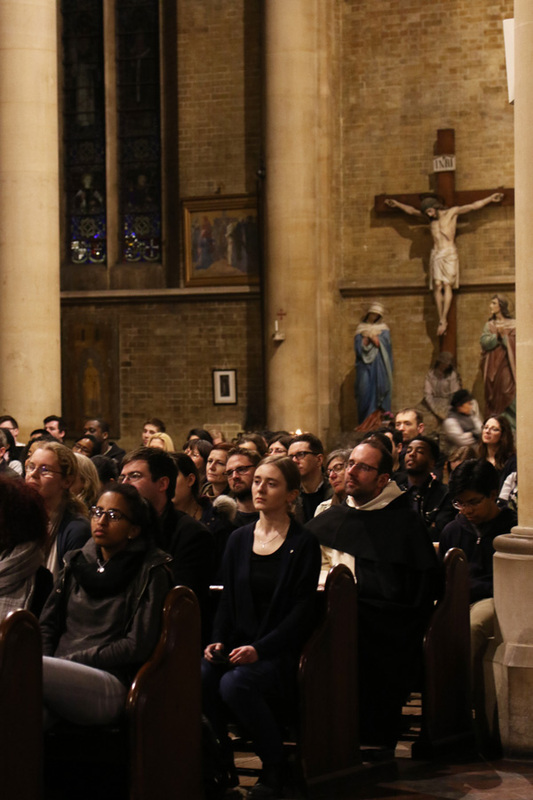 At the end of his talk, Dr Hahn prayed for the Rosary Shrine and he said that he believed it would become a centre of Catholic culture and wisdom not only for London but for the whole country; a focal point for the New Evangelisation. Dr Hahn’s words certainly resonated with the hopes of the Dominican friars and of our parishioners who were present at the talk. 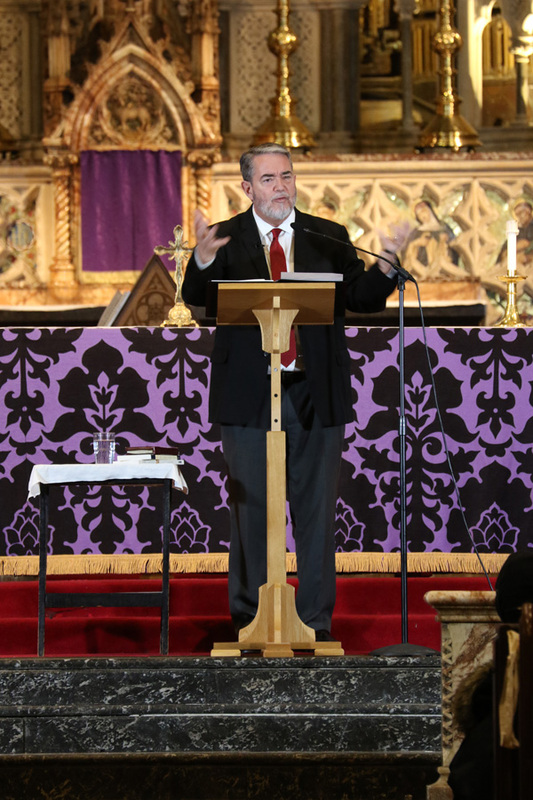 The talk was recorded by the Eternal Word Television Network (EWTN), and we will share the link to the video as soon as it is made available online. 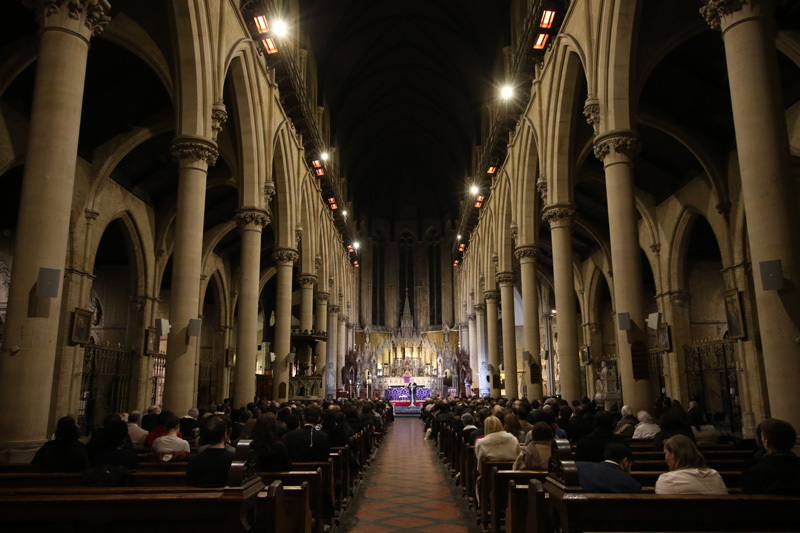 We are grateful to EWTN for this service, and we thank all who came and supported this event. Fr Cassian Derbes OP (St Joseph Province Dominican based in Rome) will give Holy Week retreat talks after the 10am & 6pm Masses (Mon-Wed) and after the 10am Tenebræ service (Thu-Sat). Fr Paul Murray OP (Irish Dominican author and teacher at the Angelicum in Rome) will give a talk entitled ‘Paradise on Earth: Early Irish Nature Poetry and the Canticle of Saint Francis’ at 7:30pm on Sat 14 April in the Parish Hall. A Conference on the writings and thought of Fr Vincent McNabb OP on Sat 28 April (11am – 4pm) in the Parish Hall. This conference marks the 150th Birthday of McNabb. Talks will be given by Fr Aidan Nichols OP, Fr Richard Ounsworth OP, Fr Oliver Keenan OP, and Hugh Walters. Pre-registration is essential for this Conference: email <secretary@haverstockhill.org.uk>.